Life is always busy for family caregivers. Taking care of an aging or ill loved one while juggling career, home and family is time consuming. For many, the added responsibilities of holiday-related tasks such as shopping, gift wrapping and baking make this time of year one they dread instead of enjoy. 1: Cut Down on Your "To Do" List - The pressure to create "perfect" holidays is often something we put on ourselves. When we feel like we have to decorate the entire house and bake all kinds of holiday treats, we add more stress to our already busy lives. Consider what is really important to you and give yourself permission to do less. "Keeping it simple" can result in peace and joy. 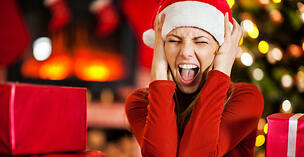 2: Ask for Help - Another holiday stressor is trying to do too much with limited resources. There are only 24 hours in a day - and you should be sleeping for at least seven of them. It is okay to ask for help - everyone needs it! If you can't find time to get out and shop for groceries or gifts, ask friends or family members to pick up things for you while they are out. If you use professional home care services, remember that caregivers can assist your loved one with gift wrapping, sending cards and other holiday-related tasks. 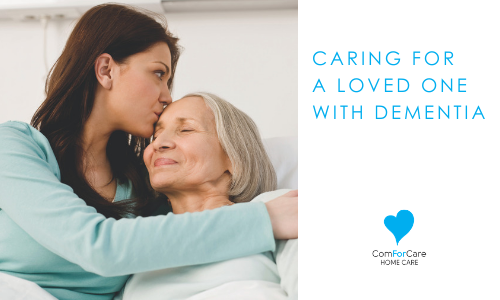 Just speak with your provider about having your loved one's care plan adjusted to address additional needs during the holiday season. 3: Put Yourself First - Taking care of yourself should always be a top priority. Make exercise fun by turning on some holiday music and dancing around the house. Go ahead and indulge in holiday sweets, just be sure to eat balanced meals that include fruits and vegetables. Find time to relax quietly by reading a book or enjoying a favorite hobby. We hope you and your family have a happy holiday season!